If you’re looking to pick up a new Instant Pot multi-use cooker, there’s only one place you should be looking to buy it right now. Amazon just launched a surprise sale that shaves a few bucks off of the two most popular Instant Pots on the planet. They’re worth every penny at full retail, of course, but they’re pricey so every penny counts. 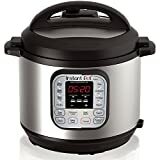 The Instant Pot DUO60 6 Qt 7-in-1 Multi-Use Programmable Pressure Cooker page on Amazon has a $12 coupon you can clip, but you should note that the last Instant Pot coupon we covered sold out very quickly, so you should definitely hurry if you want to use it. 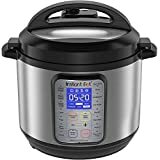 Or, if you want an even more versatile model, the Instant Pot DUO Plus 60, 6 Qt 9-in-1 Multi- Use Programmable Pressure Cooker can be had today at a $10 discount. Again, there’s no telling when these deals will sell out, so get in on the action while you still can.